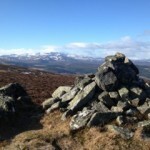 Great workout up Cairn Leuchan – 2’ hill reps, lot of them! Best way to get up that track. Good return route down via Aultonrea and back down the road to the car, parked opposite house, about 1.5k up from Bridge of Muick. This entry was posted in cp55 and tagged Warren on August 23, 2015 by site_admin. 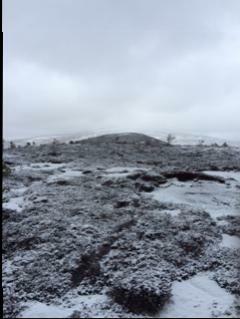 One from a while back- Abandoned my bike ride after 5 min due to snow and ran up crannach instead. Headed up the track to the east and doubled back to the summit (ie the normal route). 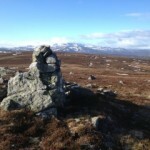 Followed the ridge south then dropped down to the west, through rock infested heather (slightly better than the descent to the east) and followed a nice wee path back to the car via the firing range. This entry was posted in cp55, cp56 and tagged Pete on April 20, 2015 by site_admin. 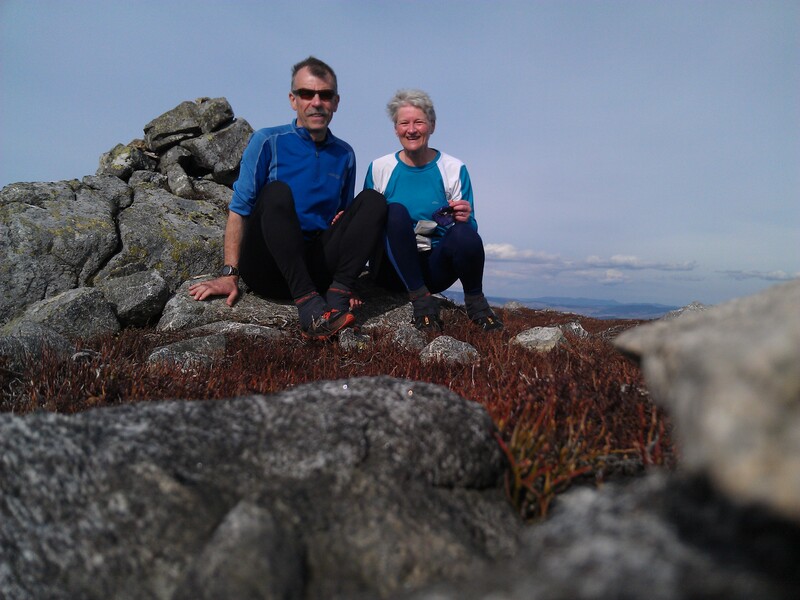 After descending from the Gathering Cairn we took lunch while we pondered our options for the rest of the day. Having come this far upriver we coudn’t resist the temptation to carry on up and head for cp55 Cairn Leuchan and cp56 Quartz Cliff. Back on our bikes at the Mounth footbridge. 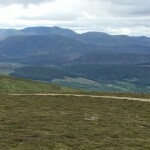 we cycled up past the Shiel of Glentanar and a bit beyond but got off our bikes and back to running when it got too wet. Then had a lovely section west to the bridge at NO383 889. 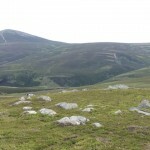 The path runs alongside the river and past a small waterfall – its a really nice walk (since its too tricky to run as the heather threatens to trip you and catapult you into the stream at the least unwary step). After the bridge we headed up the good road to Cairn Leuchan and, with the fine visibilty, really enjoyed the views back to where we had been in the morning. This entry was posted in cp55 and tagged D&E on April 7, 2015 by site_admin. 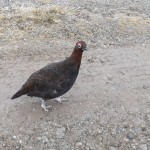 I’ve heard of people being confronted by capercaillie in their territory, but never by a red grouse. 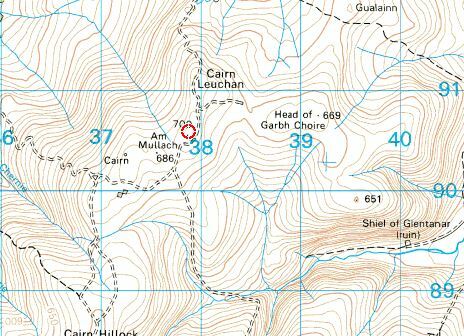 I had just reached the ridge above the Bridge of Muick on my way to Cairn Leuchan, when a red grouse flew in and landed at my feet. It then scolded and clucked at length while I took some pictures. I did wonder if it was actually going to physically attack me, but it merely squawked around my boots until it felt it had escorted me off the premises, at which point it stopped. Remarkable! The incident brightened an otherwise dull and wet morning. 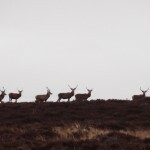 Other than the brave or stupid grouse, I saw three blackcock, a herd of red deer, and three mountain hares. This entry was posted in cp55 and tagged Phil on February 28, 2015 by site_admin. This entry was posted in cp55, cp56 on February 22, 2015 by site_admin. This entry was posted in cp55 and tagged Clare W on February 21, 2015 by site_admin.